GOSH launched their shiny new S/S18 makeup collection last month, and two standout winners for me are the new Fake It! Lash Primer and Blown Away Mascara. 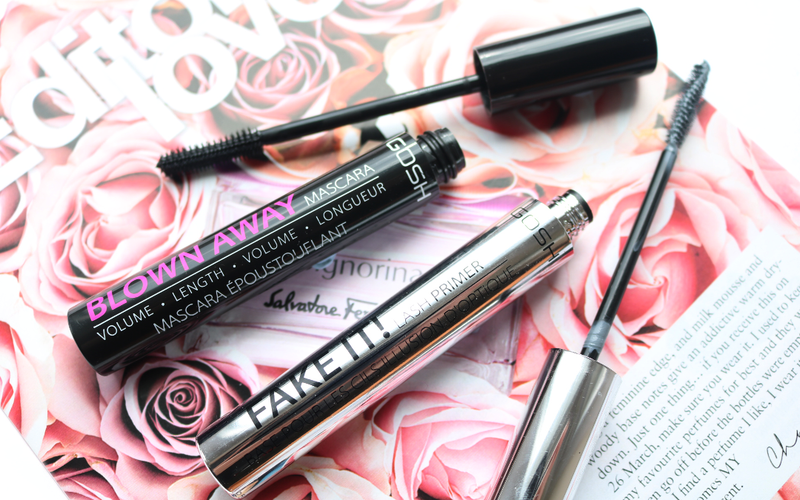 Both are perfect for achieving an easy, wide-awake, lash look that you can wear to work or Uni every day. 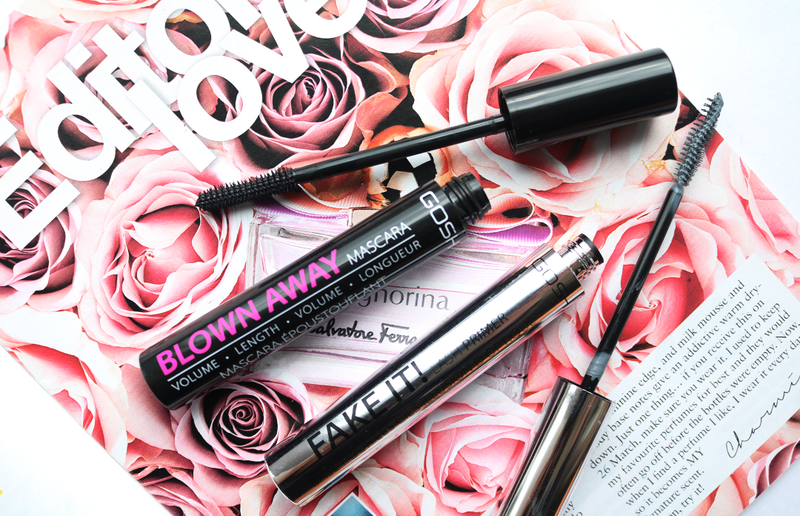 I've become a bit of a snob with mascaras lately, shunning the high street in favour of my higher-end favourites from Stila, Benefit and Ciate. Why? I've long since gotten bored with the disappointing clumpy tubes from the likes of Maybelline, Barry M and Rimmel, and I've been loving the instantly bigger, thicker lashes that the luxury brands have been promoting (and making much better formulas for). However, as a student on a budget, my fancy mascara habit was getting expensive and I started to covet a more natural, 'my-lashes-but-better' look for every day. Which is why I've fallen in love with these two newbies from GOSH; they're cruelty-free, affordable (plus you can almost always find them on some kind of offer in Superdrug), and they give me the results that I want. Lash primers are something that I dabble with every now and again, but they're not something that I would think to reach for on a day-to-day basis. The best that I've tried is from Benefit and I'd say that this new GOSH one is an excellent dupe for it, as it yields the same results. The Fake It! Lash Primer comes out a light grey colour instead of brown, but it dries quickly and leaves no lasting greyish tinge to the lashes, making it suitable for all hair colours to use. The perfume and paraben-free formula is said to be 'nourishing and strengthening' as it contains Hyaluronic Acid, but I can't say I've noticed much of a difference in that department after using it regularly for a month. Still, maybe it's more of a long-term thing? I do love the thickening and lengthening properties of this lash primer though, and the skinny rubberised brush effortlessly coats each and every lash. You can use it underneath any brand of mascara and it will help your lashes to look longer and more fluttery - I really love it! Quick confession; I wasn't 100% 'blown away' by this mascara when I used it on its own. It was OK, but nothing amazing. So for the purpose of the rest of this review, I'm going to focus on how much I like it when I use it with the Fake It! Lash Primer which is what I've been doing for the past couple of weeks. Like the primer, the Blown Away Mascara has a rubberised wand, but it's thicker and has a clever 2-in-1 brush and comb (one side has longer bristles than the other). This allows the wand to apply just the right amount of mascara for the first coat, and then you can flip it to the other side and use the shorter comb to separate, which I feel helps to prevent the lashes from getting clumpy. As you can see by the photos below, when used with the Fake It! Lash Primer, this mascara performs beautifully for a lovely 'my-lashes-but-better' finish. My natural lashes are not very defined at all, so I love the extra blackened definition and the length that these two products give. There's not much volume going on, but for every day, I'm simply smitten. It's not OTT, I don't look like I'm about to go clubbing, and instead, it's a more natural and fluttery look. Best of all, this combo lasts throughout the day without smudging or flaking, and yet it's easy to remove with any standard makeup remover, the latter of which is something that I can't say for my more pricier mascaras! Are you a fan of GOSH?